(Evan Agostini | Invision | The Associated Press) Author Deepak Chopra attends a special screening of "Religion of Sports" during the Tribeca TV Festival at Cinepolis Chelsea at Friday, Sept. 22, 2017, in New York. 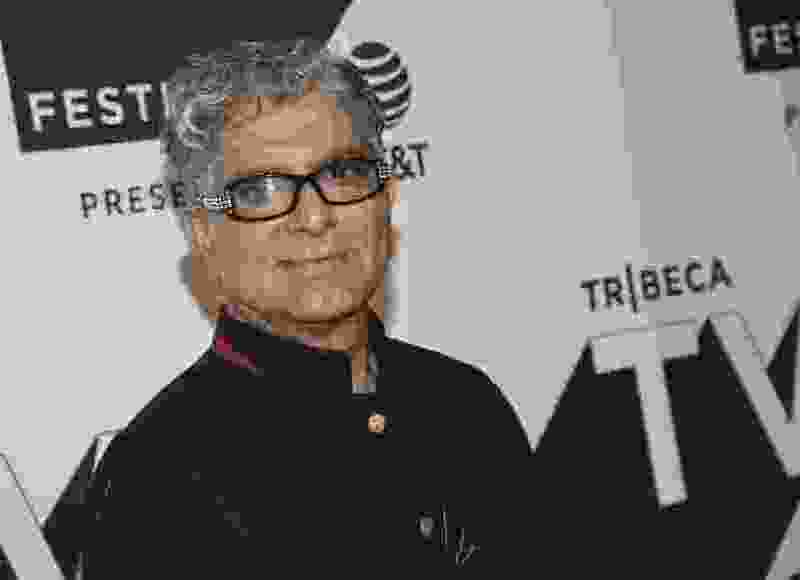 For more than three decades, Deepak Chopra has been addressing large audiences about the importance of the mind in maintaining a healthy body. Chopra, an Indian-born physician who teaches at the University of California at San Diego’s medical school, has written scores of books on the topic as well as helped found The Chopra Center for Wellbeing. You’ve been writing about health and medicine for decades. What does your latest volume, “The Healing Self,” add to the conversation? I started talking about how healing can be a natural response around 1985 or ’86. At that time, I introduced the idea of mind-body healing. Over the last 30 years, we now have validation of how healing is a natural response — if we participate in a few activities every day. This can be validated through measurement, whether it’s genetic, neurobiology, plasticity or inflammatory markers. We have come a long way toward knowing that there is no event or experience that is not recorded in our brain or doesn’t affect our gene activity. What are the most fundamental activities that accelerate healing? They are (though not necessarily in this order): sleep, meditation and stress management, emotions, movement, yoga, breathing, nutrition and connection with nature. If you put all these activities together on a daily basis, you can accelerate self-regulation of homeostasis, which is a technical word for self-healing. Do you still believe that most prescription medicines are useless or placebos? I have never said that, by the way. What I’ve said is most pharmaceuticals are effective in acute illnesses like pneumonia or acute bronchial asthma. But when it comes to chronic disease, like heart disease, stroke, cancer, autoimmune illness, or any illness related to inflammation, pharmaceuticals will help address the symptoms, but they will not effectively change the natural history of the disease. … When it comes to chronic illness, you need to go beyond pharmaceutical treatment to get to the root origins of illness and then address the origins of well-being. Do you still believe it is possible to attain “perfect health,” free from disease or old age? That overstates my perspective. Our natural state is perfect health, unless you have a congenital anomaly. When you are born, you are in perfect state of self-regulation. As we grow older, we interfere with the natural self-regulation in our body, because of lack of sleep or stress, or food that inflames our microbiology, or anything that interferes with the natural process. What I have said is you can maintain that state of perfect well-being for an extended period of time. I myself am 72 years old [as of Monday] and have never been hospitalized or had surgery or had any other acute illness. I believe it is possible to have a long healthy life. At some point, of course, we have to die. That is part of the recycling of the universe. Everything in nature recycles — energy, information, matter, and, in my view, awareness of consciousness, which is the fundamental ground of all existence. Death is part of the life process. ... In biology, there is a term, “apoptosis,” which means programmed cellular death. If a cell forgets to die, that’s what we call cancer. Cancer is the loss of the memory of death in the individual cell. So, too, when we become rapacious and forget that we are part of a wholeness, then we become predators, and in a sense we become the cancer of our planet, which we have done successfully, by destroying ecosystems and other species — climate change, war, pestilence, terrorism, mechanized death. These are behaviors that are [leading to] our own extinction. How do you avoid making people who are suffering — like cancer patients — feel responsible for their own imbalances? Our participation in any disease is one of many factors. When it comes to cancer, it is not one disease; it’s hundreds of different diseases. Cancer is due to a genetic mutation. Only 5 percent of those mutations are fully penetrant, which means they guarantee the disease … and you can’t prevent it. But that only applies to 5 percent of all chronic illnesses. The rest of the genetic mutations that predispose people to disease are related to lifestyle and environmental toxins, which are now in our food. The food chain is poisoned with chemicals, and all kinds of inflammatory products. Anything that is manufactured, processed, refined or has chemicals in it is going to damage and inflame the microbes — DNA — of your gut. Ninety percent of all chronic illness (if not more) can be modified. As we learn more about markers of illness, we will be able to make disease more preventable and treatment more precise, more personal and more participatory. Your participation as an individual depends on the information about your disease but also on the recognition that disease is multifaceted. No one factor accounts for the disease. Genetic mutations are only one factor. There is no simple answer to the question, “Am I responsible for my cancer?” We are all responsible for the epidemics that plague modern society, including violence, war and terrorism. Salt Lake City is the headquarters of The Church of Jesus Christ of Latter-day Saints — otherwise known as Mormonism. Many of the attendees at your lecture probably are believers. What are your thoughts about organized religion? Organized religion is slowly on its way out. It has done a lot of good in the world but also, like all organizations, [is] subject to powermongering, control and influence peddling, and, at some point, even corruption. People are getting away from organized religions, but there is still deep interest in spirituality as they try to see a connection between their spiritual experiences and what the religion teaches them. Organized religion has a future, but it has to evolve with what science is telling us about the nature of reality and the cosmos and biology. Unless we keep up with the latest understanding of what is real, we get frozen into mythologies. Most religions originally were cultural mythologies and still are. I know I am coming to a place of lots of believers, I hope I can give them some reassurance, but I am not going to pander to a belief system, no matter what it is. You don’t need a belief system, you need experience and understanding. Do you see yourself as a spiritual leader? If so, what is your advice for healing the polarization the country? I consider myself a spiritual explorer who likes to share ideas with other explorers. My understanding of the current situation is that unless we wake up and give up narrow identities — racial, ethnic, religious or national — we are doomed for extinction. … Unless we go beyond ego-centered, selfish concerns, we definitely are going to hurt ourselves and continue this polarization. But I don’t believe in angry activism. I believe in being the change we want to see. If we had a critical mass of people who wanted to be the change they want, we would see a more just, peaceful and joyful world. Because we have social media and technology, we can communicate with each other and find creative solutions to our common problems.